The Maxtor OneTouch 4 Plus solution is a full-featured backup and storage solution with Maxtor SafetyDrill for complete recovery of a hard drive's contents in case of a system crash or virus/spyware attack*. 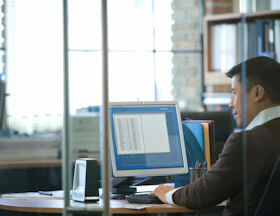 With two levels of data security and capacities up to 1 TB, users can confidently back up or sync work and home computers. Back up your files with one touch of a button. Add on storage for your desktop or laptop. Provide a safe haven for your entire working environment. Don't back up and protect just your files anymore. System crashes and virus attacks can happen, and it's difficult to get your computer back to just the way you like it. To prepare, should the unfortunate happen, Maxtor SafetyDrill automatically creates a snapshot of the entire contents of your PC's hard drive which can be readily booted for an easy and complete recovery. With this elegantly simple full-featured backup solution, Maxtor's software makes automated backup scheduling, specific file restoration, sync, security, drive and power management a snap. To safeguard against unauthorized use, Maxtor OneTouch 4 Plus comes with both data encryption and Maxtor DrivePass. To top it off, with up to 1 TB you have more than enough room for your important documents, videos, photos, graphics, and music in one safe, convenient location - over 16,660 hours of digital music or 320,000 digital photos or 1000 hours of digital video or 250 two-hour DVD quality movies or 500 games. The sleek and slim design of this hard drive--only measures 6.75 x 2.50 x 6.00-inches (H x D x W). 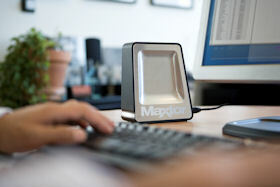 The Maxtor OneTouch 4 Plus lets you transfer files seamlessly from your computer via its USB 2.0 connection at a brisk transfer rate of up to 480Mb/sec. The drive delivers a spindle speed of 7,200 RPM, giving you the high-speed performance you need to back your data up quickly and safely. It's easy to install - just plug the external drive into an available USB or FireWire port on your PC or Mac, run the preloaded software, and presto you're good to go. At this compact size, and with this high performance, you now have the ability to take your data with you anywhere you go, so your digital content finally has room to breathe. A five-year warranty is also included, giving you complete peace of mind. ¡¤	Maxtor SafetyDrill prepares, boots and recovers a PC's entire internal drive contents in case of system failure or virus/spyware infection. * ¡¤	Back up all your files with one touch of the button or automated scheduling. Maxtor is the expert and the leader in designing simple external storage and backup solutions for consumers and professionals. 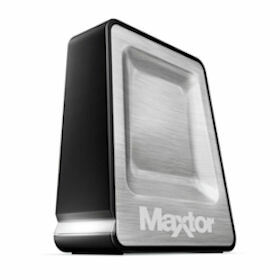 Maxtor offers a broad line of trusted, intuitive storage solutions for safeguarding critical business data, digital files and personal memories. 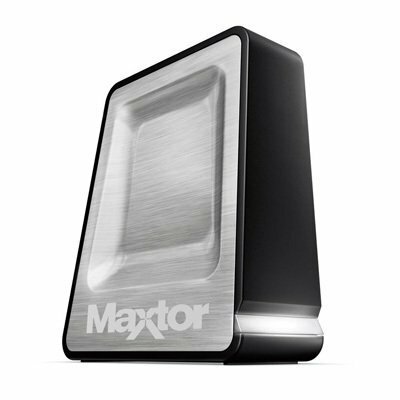 Maxtor developed the industry's first external storage device that features easy-to-use OneTouch button backup and restore capabilities. The Maxtor OneTouch 4 Plus solution is the easy way to back up and store photos, videos, games, music, business data, personal information and more. The OneTouch 4 Plus solution continues the OneTouch legacy as the leading external hard drive for small office users, consumers, creative professionals and mobile warriors. I have two Maxtor OneTouch drives (120GB) that I got in 2005. They have both crashed this year. One was recoverable by reformating the drive, so I lost ALL the data on it. The other could not be recovered. Maxtor charges $1700 (starting price) to recover data from their crashed drive. That seems like a lucrative business for them (especially based on the lousy reviews they are getting). I was a little hesitant at first about purchasing this product. Mainly because there were quite a few reviews that I came across that reported that they had major concerns about the device. However I came to the conclusion, after a lot of searching, that just about every external hard drive that is on the market has similar reviews. Another small concern I had about it was simply that most external hard drives are quite fragile, and I was worried about it being damaged during the shipping process. However, even though I had some of these thoughts in the back of my mind, I purchased it because I have had good experiences with Maxtor in the past. When it first arrived, I set it up in the spot that I wanted it, (A large mistake in my case. I like to have things like this product tucked in the back of my desk behind things so that I don't have them right in the middle of my workspace.) and plugged it into my computer. It installed easily and worked just fine for me until it came time to transfer some files over to the hard drive. During that process the computer became incredibly slow, and it said that my transfer of only 1 GB was going to take longer than one day. I figured something was wrong, and restarted the computer. After quite some time of investigating, I found that the problem lied with an USB extension cable. What about it? The cable is somewhat outdated, and was rated around USB 1.1. Mine lasted all of 6 months then died. Calling CS was a joke, they basically said they'd send me out another one of their POS's, a refurbished one, and if I want the data restored I can pay them anywhere from $700 to $2500 and they'd gladly restore the data for me. Wow, wasn't that thoughtful of them! I will never recommend this product to anyone, I thought I was buying one with a good name but I was so wrong! I didn't lose everything but I did lose some things that were pretty important. I know, shame on me for trusting this POS to work correctly. 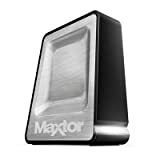 I have used Maxtor internal & external drives for years. Then, along comes this piece of junk. First off, the drive is housed in a cheap case made of very thin metal and plastic. It hooks up easy enough, but this one only lasted 3 days before dying. If you read reviews at various sites, you'll find that this is an epidemic with this useless paperweight, but I was in a hurry and didn't do my homework. Stuff like this really makes you wish that some attorney would put together a class action against Seagate. Regarding service, you can't understand the tech on the other end AND they clearly don't know how to do anything except tell you that they will send you a reconditioned drive once you return yours. When you think about it though, this makes perfect sense because they've had so many returns on these things that I'm sure they have a warehouse full of reconditioned units. One thing to think about though is this ... do you really want to send back a drive that has lots of your info on it and run the risk that some techno-weenie at the factory in a third world country might get their hands on it? Not me. I threw this piece of junk in the trash after I drilled 4 holes in it and counted it as an expensive lesson. High failure rates from an uncaring company. I will never buy another Seagate drive. I have seen the high failure rates of the drives they are making now and it is appalling (do a google search). Do yourself a favor and buy only Hitachi drive mechanisms. My Maxtor (Seagate) drive began making a high pitched whining noise after about 90 days. As the problem was intermittent, I switched it to light back up use. After another month it began a much louder grinding noise.